The computer revolution is nearing its end. I predict that in a few short years, the invention that has revolutionized the ways in which we live our lives every single day will be but a distant memory. All the computers in the world will soon be sitting forlornly on shelves, unused, for a few years before eventually turning to dust … forgotten relics of a bygone era. What will kill the computer revolution, you ask? Will it be some new form of technology that comes along to replace the erstwhile computer? Will we all wake up and one day decide it’s time to revert back to a simpler time, like the ones before computers existed? No, computers are going to die because no one will be able to remember their passwords anymore. Computers used to be fairly simple — even for someone like me, who thinks a ball peen hammer is advanced technology. You sat down in front of your computer, you turned it on and then you went about the business of doing whatever you needed to do on your computer (which, in my case, consisted mostly of watching old pro wrestling videos on YouTube and bragging about my kids on Facebook). It’s not quite so simple these days. Seems as though everything you need or want to do on a computer these days first involves typing in some sort of password. You need a password to turn on your computer. You need a password to check your email. You need a password to log on to websites. I’m pretty sure you need a password to pull the plug on the computer — and if you don’t type it in correctly within three tries, you receive some sort of electronic shock. I even needed a password to log in to the program in which I am typing my column. It’s important to keep my work software secure, I imagine, because there are hundreds of people out there probably clamoring to sneak into the Troy Daily News offices and write up a sports story or a weekly column when I’m not sitting at my desk. Actually, judging by the email I receive, that may not be too far from the truth — people tell me all the time they could do a better job than me. You know, it’s not that I am against passwords in and of themselves, I suppose. There are plenty of things I do on a computer that are probably best if kept a secret and no one in civilized society knew about them besides me. That’s fine. It’s the process of creating passwords that has gotten out of control over the past few years. It used to be that you could use whatever you wanted as your computer or email password. Most people, I found, would simply use the name of their cat for their computer passwords. It made sense, I suppose — it was something easy to remember and could be quickly entered into the computer. These days, creating a password for your email or computer programs involves entering a series of letters, numbers, symbols and ancient Egyptian hieroglyphics that actually are far more complex than our nation’s nuclear launch codes. For starters, all passwords must now be at least eight characters long. All of them have to have a certain number of letters, a certain number of numbers, at least one symbol and at least two of the letters must be capitalized. So if you want your password to be the name of one of your kids, and your kid’s name was David (congratulations on picking out a great name for your kid, by the way), you couldn’t just make your password “David.” You’d actually have to make it something like d@vID!6845. That’s all great — as I’m sure it keeps your computer secure — but that also means it keeps your computer secure from you, because there’s no way you can possibly remember all of that. So you have to write down your password on a Post-It note and leave it permanently affixed to your computer — all of which kind of undermines the whole point of having a password in the first place, correct? What’s even better, though, is there are some websites that make you reset your password every six months — so even if you do manage to memorize your password, you’ll just have to change it soon after you finally learn it, anyway. Truthfully, it’s lucky we are able to use computers to accomplish anything at all, instead of just sitting around staring blankly at our screens, trying to remember how many ampersands appear in our login passwords. By the way — this likely will be my final column for a few months — my password changes tomorrow and it’s going to take me some time to learn the new one. 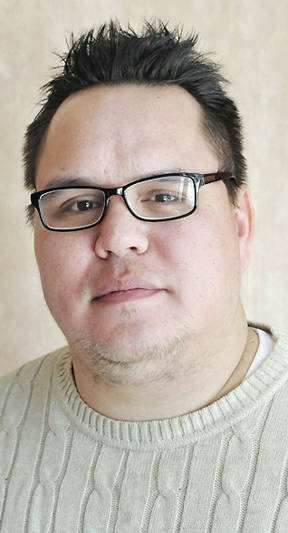 David Fong writes for the Troy Daily News, a division of AIM Media Midwest.